Antonio Panizzi studied law at the university of Parma. He was suspected of being a Carbonaro and in 1823 he moved to England. There Ugo Foscolo introduced hm to others. Lord Brougham helped him to a professorship at the new University of London. In 1832 he became a British citizen. he held several positions at the British Library before he became Principal Librarian in 1856. He held this position until 1866. In 1869 he was knighted by Queen Victoria. 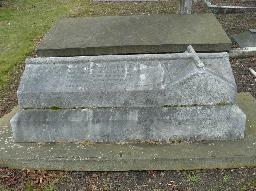 The grave of Anthony Panizzi at St. Mary's Cemetery, Kensal Green, London.